Training Provider: Hazard Management Services, Inc. Certificates Certificates are provided immediately upon completion of the class and passage of applicable tests.Refresher students must have provided copies of most recent certificates to HMS prior to the class date to receive new certificates at the class. Parking Free parking available in the lot next to the training location. Food Morning coffee and lunch are provided for classes that are 5 or more hours in length. 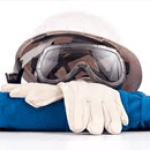 Hazard Management Services, Inc. (HMS) has helped construction managers, building owners, facilities managers, architects, contractors and consultants handle hazardous materials safely AND legally (two different issues) since 1984. Our training division employs instructors from several different firms, most with more than 25 years of hazardous materials experience. All instructors are active consultants, contractors, or EH&S personnel. 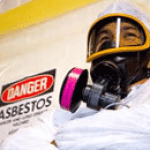 Many were actively involved in developing the original curriculum for UC Berkeley’s highly respected asbestos and lead training program in the late 1980s, and in revising and generating local, state, and federal environmental regulations during the past four decades. Our classes use interactive teaching techniques and emphasize applying up-to-date knowledge and research (about health effects, regulatory and legal trends, and best industrial practices) to actual situations our students face. In every class, genuine case studies and discussion of participants’ on-the-job experiences help you develop practical responses to real-world problems and avoid costly mistakes. 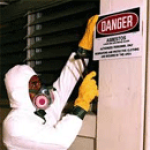 In addition to open enrollment courses for Asbestos, Lead, and RRP certification, HMS, Inc. offers in-house contract training for many specific types of work involving exposure to asbestos, lead, PCBs, silica, mold, mercury, or other hazardous materials. We welcome requests for in-house training tailored to your needs.